Towards the end of 1933, a group of Southern enthusiasts, including Mrs Nadine George ‘Beulah’, Miss Clare Molony ‘Westcarrs’, and Mrs M. I. (Zoë) Rhys ‘Hughley’, considered the time was right for a new National Collie Breed Society with a southern base. An application to register the Collie Association, complete with the necessary 21 shilling [£1.05] fee was received by The Kennel Club on 2 December 1933, with approval granted on the 16 January 1934. With founding members coming from both the Rough and Smooth Collie worlds the club as was then customary, catered for both varieties. 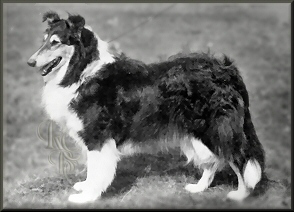 In the Collie Association’s original application for registration, the stated aims were given as: “To try and again make the collie one of the popular British breeds” and true to their intentions the Collie Association supported all Collie varieties, including the Bearded Collie throughout its early struggles for acceptance during the 1950s, as well as working disciplines scheduling obedience classes at some of the early post-war shows. 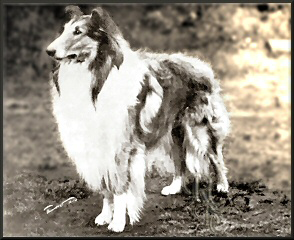 Championship status came in 1946 when the club was awarded two of the four sets of Challenge Certificates offered to the Rough Collie, both shows held at the London Scottish Drill Hall, Buckingham Gate, London SW1, the first in May and the second in September. 1947 saw a repeat of this arrangement, although these shows were held at the Corn Exchange, Leeds, and Portland Street, London. In an effort to encourage the regeneration of the General Championship Show the Kennel Club withdrew championship status from all breed clubs in 1948, but by 1950 common sense had prevailed and championship status returned to the Collie Association. Just why it was withdrawn in 1952, when Rough Collies were limited to a single Breed Club Championship show is no longer apparent, but whatever the reason it was resolved within the year, and Championship status from 1953 when the Collie Association engaged its only foreign judge to officiate at its June show, since when it has become an annual event, anchored to November at the end of the show calendar since 1955.
where allrounder Mr Leo Wilson judged collies for the first time at this level. With the election, in 1951, of Miss Margaret Osborne ‘Shiel’ to the secretarial post the Collie Association provided itself with an indomitable champion who, over her twenty-one year tenure, was responsible for introducing many innovations in an continuing effort to promote the society. Chief amongst which were the now famous Handbook, published in 1952, and the first club sponsored quarterly newsletter issued free to members. 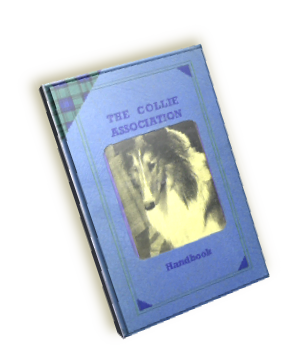 For some years the Collie Association was dedicated to promoting of the Rough Collie only, but with the success of the Club’s reintroduction of Smooth Collie Classes in 2010 the club has returned to scheduling classes for both Rough and Smooth Collie, with committee members, officers or representatives, covering both breeds, throughout the United Kingdom, it aims to achieve its objective by: Membership and inclusion in the Judging Lists (subject to acceptance) is open to all. For more details about what the Collie Association has to offer contact the Secretary. Promoting the breeding and exhibition of pedigree Rough Collies. Giving help and encouragement to novice and hobby breeders. To do all possible to further the progress and health of the breed as a whole. FEBRUARY - Supported Open Show currently held in conjunction with theNational Working & Pastoral Breeds Society’s Winter Open Show staged at The Sky Blue Sports Connexion, Ryton on Dunsmore, Coventry, CV8 3FL. with Specials on offer donated by The Collie Association. MARCH - Annual General Meeting — currently held at Bearley Village Hall, Snitterfield Rd, Bearley, Stratford on Avon, Warwickshire, CV37 0SB. JUNE - Spring Open Show held in conjunction with the Smooth Collie Club of GB, with two shows on the same day at the same venue. One in he morning and one in the afternoon. Seminars are arranged on a annual basis with subjects covering The Breed Standard, Judging & Stewarding Procedures please see website for more details together with details of shows, dates and judges. The Collie Association is managed by a Committee of nine plus three officers. In line with Kennel Club directives the Collie Association has appointed Mrs Anne Hollywood as its Health Co-ordinator: Anne is kept busy supplying regular bulletins for the Collie Association web-site’s Health Issues pages, including the occasional questionnaire covering matters of current concern to all Collie enthusiasts, breeders and exhibitors. The Collie Association present several Annual Points Trophies and Specials to members, with points earned by wins at any of the Association’s shows, including its Supported Show. These trophies and specials presented at the Annual Championship Show each November. For a complete explanation of these awards visit our website’s Membership page.